The Lightning Rod in American politics is at it again. 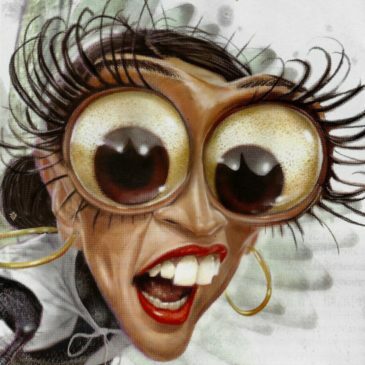 Let’s face it: Alexandria Ocasio-Cortez (AOC) never STOPS being “at it again.” Since she in the New York primary upset Congressman Joe Crowley — the 3rd most powerful “former” member of the U.S. House of Representatives — she gives the world at least one good laugh every day: especially conservative reporters and talk show hosts. The battle between AOC and Speaker Pelosi is over, and Ms. Ocasio-Cortez won the title of “All-Time Favorite Dem of the GOP in Congress.” By dethroning Pelosi, AOC has put herself in the Republican crosshairs of the entire GOP population in the U.S. A political news report can rarely escape without some new raucous statement by the former bartender-turned-rookie Congresswoman. When we started www.TruthNewsNet.org, we had a weekly feature in which we collected and presented to you a few jokes and/or funny stories that we collected during the week. We found out very quickly you all love good humor. And, boy, we received a ton of jokes! But because of all that was happening in the runup to the 2016 elections, copy space dictated we put that comedy feature to the side. It’s time we bring it back! Every week we will collect and compile as complete a list as possible of all of AOC’s “funny” statements and conversation elements we can find from her that are out in the public forum. We may miss some, so feel free if we do to let us know. A good laugh does us all a lot of good. As you dance through your day today, why not turn the volume up on your laptop, desktop, or earbuds while you dance along with AOC and fellow college classmates in the video below. Just think: she’s one of the 435 people out of 330 million Americans to make every federal law by which we must abide. Don’t forget that those 435 — including AOC — decide together how $3.4 Trillion of our tax dollars are spent. That thought gives me a warm and fuzzy! ← American Government: Who’s In Control?